JULIE H. BRODIS - ESTES, INGRAM, FOELS & GIBBS, P.A. JULIE H. BRODIS was raised in Orlando, Florida. She received her undergraduate degree in Journalism with an emphasis in Political Science and History from Southern Adventist University. Ms. Brodis received her law degree, with honors, at University of Florida Levin College of Law in 2008. She first joined the firm as a law clerk in 2007 and is a partner. She is AV Preeminent rated by Martindale Hubbell and is admitted to the Florida Bar and is admitted to practice in all Florida courts and the United States District Court, Middle District of Florida. Ms. Brodis specializes in representing hospitals and physicians in Florida. 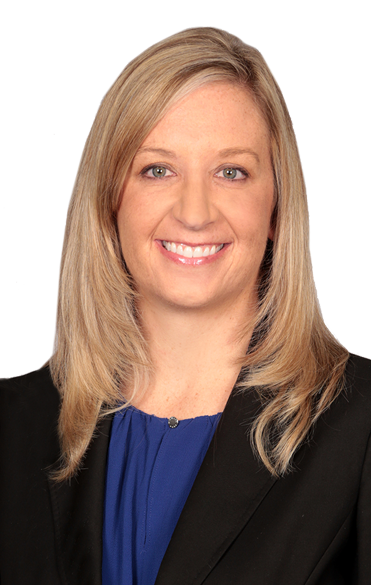 Her practice includes a variety of legal matters including medical malpractice, premises liability, nursing home litigation and Board of Medicine representation. She is a member of the Florida Bar, Southern Society of Adventist Attorneys, Florida Defense Lawyers Association and Central Florida Medical Malpractice Claims Council. She enjoys speaking to hospital staff on issues related to litigation and risk management, including medical record documentation, testimony, claim avoidance and trial logistics. Ms. Brodis can be reached by filling out the message board below. Her assistant, Julie Brace, can be reached at (407) 481-9449 ext. 126, or via e-mail by clicking here.